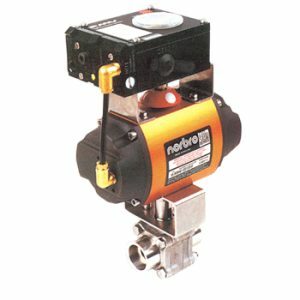 The FlowPak control valve is a general service valve coupled with the high-thrust FlowAct pneumatic diaphragm actuator. The modular, simplified and low-complexity design provides an easy and simple product sizing and selection. The FlowPak valve is capable of operating within temperature ranging from -29°C up to +250°C (-20°F up to +482°F) according to the selected material. Precise machined plug contours and long stroke lengths results in an excellent control performance. 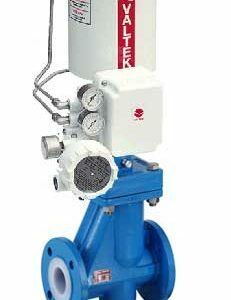 The FlowPak control valve has a very compact, light-weight design, which offers up to 10 kvs/cv-values per valve size – allows a wide range of process conditions for each size. Due to the design of a profile-ring – very reliable sealing between body and seat, easy maintenance, no machining required of the body seat area when changing the seat.